← Really. Does This Post Warrant A Title? Great blog, you, Dusty, are an exceptional woman of God, and you have a full plate, balance is good for sure! How old is that Jett now? Just a few months ago, you gave birth, then made a move..just saying…Love you! I know that is not what your post is about….but…. I dont think I have told you this week, that I miss you…. I love you…. And yes, that chunk of love is YUMMY!!! 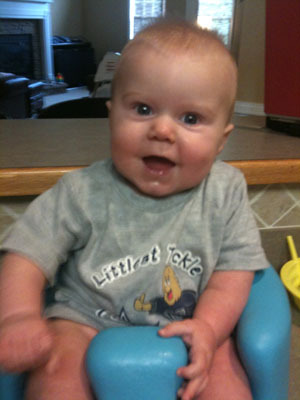 Is that lil Jett wearing a “Littlest Tackle” shirt!??? OMG – too cute! Love you and love this post!